Note to Self & Welcome to What If? Wednesday! Note to Self: Please write your posts the day or evening beforehand to post the next morning. You know how your days can get, especially if you haven’t had enough sleep the night before. Thank you. So, here goes my first installment. This idea just came to me a few days ago, so there’s not much in my What If Journal yet, but I’ll have it handy at all times for when those questions pop up. WHAT IF I hadn’t dragged my tired body to Walgreen’s on an errand tonight and discovered that Milky Way Simply Caramel candy bar? WHAT IF high heels made your feet look aaaaannnnnnddd feel good? WHAT IF I hadn’t caught myself the other day when I almost put Cumin in my oatmeal instead of Cinnamon??? WHAT IF our legislators had a clue what the American people think and value…and cared? No matter what your political leanings, you have to have asked yourself THAT one! WHAT IF I cut a bunch of my hair off? WHAT IF major appliances were made to last more that 5-10 years? 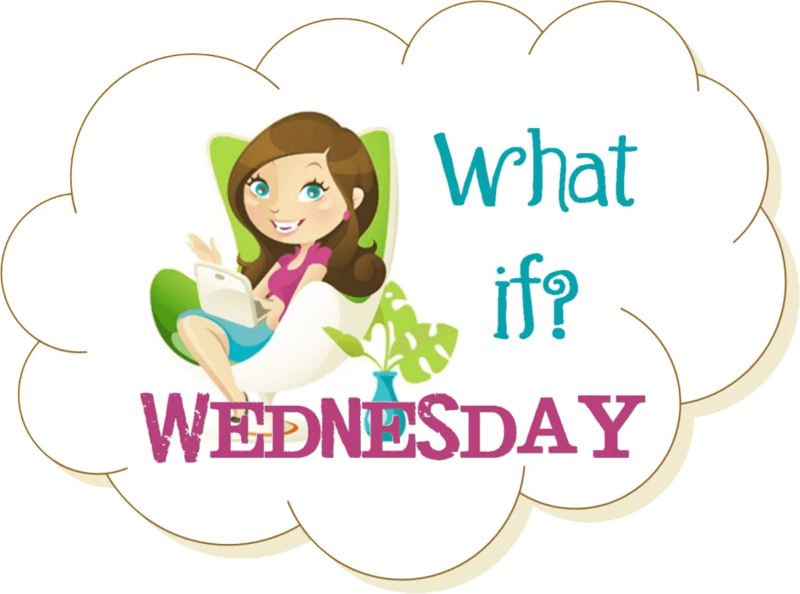 The theme will return next Wednesday, when I’ve had a whole week to ask more “What If” questions! What I did tonight: There was a food packing event at the private school in Wichita one of the girls in our youth group attends. So we decided to “take it on the road” and took our youth to help with the project this evening. The event was sponsored by Numana (click the name to check them out). They work to fight hunger all over the world, but have a big focus on Haiti right now. It was great donning our little aprons, gloves and hairnets and making our assembly lines to package the food. Just a little over 3 hours of our time…and over 20,000 meals were packaged just while we were there. It’s amazing what God’s people can do when we listen and obey His call to help. Previous postWhat Will She Finally Blog About??? This is an awesome post Lisa…and a good meme idea. And I think it is going to be fun!Hey, that is great that the youth participated in the food packing last night. I wish more of that was going on. Good Job!Your blog is lovely…and so are you! <3All for now…I have to get ready and go to a funeral this morning. Time to honor our sweet friend Sheril (Debbie B. from Mulvane's mom) You know them and you did a party at Deb's house remember?Gotta run…TTYL.